While the world is moving towards a bright, 4K future, there’s one unbeatable resolution and refresh rate combo that makes the best practical sense to us gamers and our affordable graphics tech today. That’s 1440p at 144Hz. With the right panel, you won’t be left wanting by the crisp, high-fidelity detail nor the buttery smooth refresh rate. And the AOC Agon AG322QC4 is the right panel. The Agon AG322QC4 has the screen real estate to make the most of that resolution, the colour reproduction to back it up, and luminance enough to at least partially sear your eyeballs in a dark room. If only Windows HDR implementation was half-decent enough to make the most of the panel’s entry-level DisplayHDR 400 certification… but we’ll get to that. 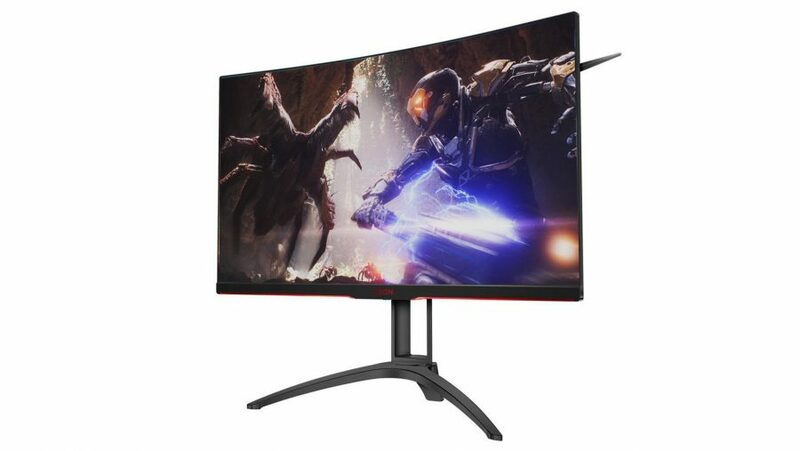 That high pixel count isn’t wasted on the Agon, and its 32-inch 1800R curved panel strikes that all-important balance between an immersive, all-encompassing gaming experience and pixel density enough to sit you up in your chair. Then style out those gamer glasses as best you can, and get to some serious competitive gaming without losing out on definition or sharpness. The Agon’s refresh/res combo of 144Hz and 1440p opens the door to a wide range of GPU tech. There’s no need to spend $1,200 on the latest Nvidia RTX 2080 Ti to hit that refresh rate nor to run most titles at 1440p. Anything from Nvidia’s Pascal mid-range, to AMD’s RX Vega silicon, has the guts to get this screen going at pace or hitting ultra settings with clarity and definition. That flexibility is conducive to fast-paced action and beautiful cinematic titles alike. And if you do settle for AMD that refresh rate needn’t go to waste, either. While FreeSync isn’t a practical function for gamers out there repping the green team – over 75% of you according to the latest Steam HW survey – if you are rocking Radeon silicon at least the Agon’s FreeSync 2 support allows for suave, tear-free gameplay hand-in-hand alongside full utilisation of the panel’s HDR 400 functionality. Sadly, the Agon’s DisplayHDR 400 functionality, like many others’ before it, is stifled by inconsistent Windows HDR settings. And third-party software issues aside, HDR 400 really is the bare minimum on offer, just about hitting above peak luminance of a standard display. Even then it’s a bit of a stretch to call it ‘true’ HDR. Colour reproduction and local dimming are both given a pass with the entry-level HDR badge, whereas HDR 600 and HDR 1000 are both far more stringent with the specifications. But HDR is still a worthwhile asset for the Agon, and its entry-level HDR capability lends to its strong contrast and rich, vibrant image. Black levels and colour reproduction are both equally impressive, and even in humble SDR-mode the Agon performs admirably. White saturation is exceptionally strong, outshined only by the most vibrant IPS panels going. Aside from the panel quality, the build of the Agon is superb. It’s made up of a surprisingly slender bezel-less panel, accompanied by an unobstructive swivel/tilt stand. AOC have also included a wired-OSD controller: a useful tool for switching presets, but utterly unintuitive due to the arrow key layout on the device. Needless to say when you pick up a gaming monitor you want something that will stand the test of time. Sure, no monitor will look stunning forever – I’m starting to feel the creep of inadequacy with my personal 1080p60 – but any screen worth its salt should survive at least a couple key component changes and still retain its worthiness and pride of place on your desk. The AOC Agon AG322QC4 maybe isn’t as ‘future-proof’ – for lack of a better phrase – as a 4K, high refresh rate panel that costs an arm and a leg. The first limb for the panel itself and the latter a down payment on a GPU capable of running the damn thing. 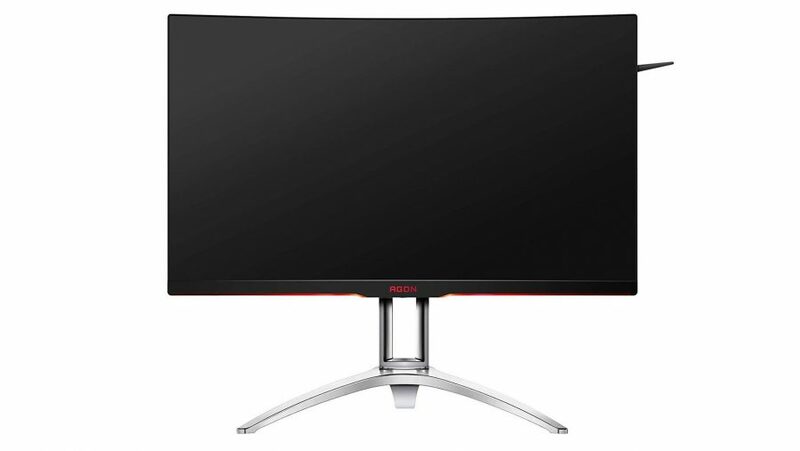 But as a complete package, without an early adopter’s tax or ludicrously high component costs, it’s a seriously impressive one-size-fits-all monitor in that 1440p, 144Hz sweet spot, which will keep most gamers content for many years to come. 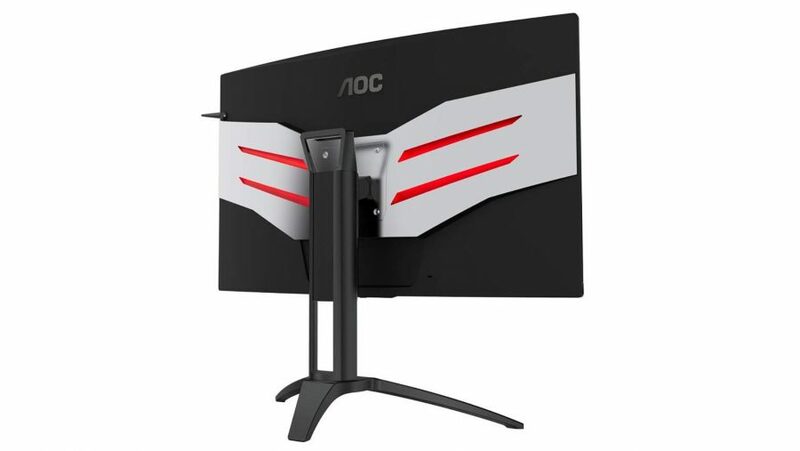 The AOC Agon AG322QC4 is a great monitor for the moment: entirely capable of delivering on both detail and speed. An impressive one-size-fits-all monitor in that 1440p, 144hz sweet spot.